"*Adirondacks Resource Travel Guide to attractions, vacation, tourism, resort, hotel, motel, accommodations, lodging, Real Estate, Lake, Travel Guide, lodging, hiking, restaurants, real estate in towns as Lake Placid, Saranac Lake, Glens Falls, Old Forge etc..! " In a unique twist, modern technology and the internet will be used to help preserve and restore historic landmarks in the village of Saranac Lake, NY. Rob Grant, president of Adirondacks.com & Mary Hotaling, Executive Director of HSL, announced today a unique online partnership designed to build awareness and focus public attention on the rich history and remarkable architecture in Saranac Lake. 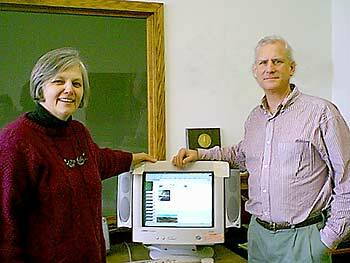 Our goal is to use the internet to promote the many unique programs that Historic Saranac Lake has initiated and to showcase the organization's efforts to preserve and restore historic buildings throughout the community of Saranac Lake, said Rob Grant. Historic Saranac Lake was originally formed as a not-for-profit organization to secure designations on the National Register of Historic Places for landmarks in and around the community. Since it was incorporated in 1980, the organization has listed over 170 properties to the National Register. HSL has also operated a rural preservation company, completed a comprehensive housing survey and two rehabilitation conferences, fully rehabbed two historic houses in the community and published two books and two videos on local history and architecture. Current projects include management of the recently restored Union Depot, restoration of the Bartok Cabin, and -- most immediately -- the restoration of the former Saranac Laboratory of Dr. E. L. Trudeau as a new museum and offices. "The new Laboratory museum is our dream project, and our new partnership with Adirondacks.com will help bring it to the attention of people all over the world. It's a very timely partnership, and we're delighted to be involved."